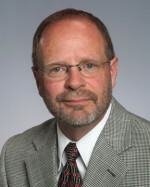 Mark Rollo is consultant of Allen Memorial Home and has served families since 1977. Mark is specialized in all aspects of funeral service and feels very privileged to serve families in the area. He is a member of Our Lady of Sorrows Church, Vestal. A graduate of Vestal Senior High School, Simmons College of Mortuary Science and attended Syracuse University. 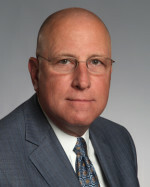 He is a member of the National Funeral Directors Association, New York State Funeral Directors Association and Broome County Funeral Directors Association, and has served on many of their boards, also a third degree member of Knights of Columbus Council # 1839, Endicott and a member of the Binghamton Country Club. Mark enjoys golfing. He is married with two grown sons and has two grandchildren. 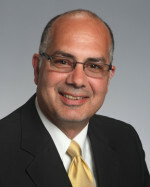 Chris Putrino is Manager of Allen Memorial Home and has been with the funeral home since 1980. Born and raised in Endicott, Chris is a part of the community graduating from Union-Endicott High School and SUNY Canton’s Mortuary Science Program. He is a member of the Duca Degil Abruzzi Lodge #443, Endicott, Order Sons of Italy in America, and the Binghamton Country Club. Chris takes his profession extremely seriously and is a proud member of the National Funeral Directors Association, the New York State Funeral Directors Association and the Broome County Funeral Directors Association. Chris is married and has four sons. Daniel Balles has been in funeral service since 1979 and a Funeral Director at Allen Memorial for almost 25 years. Born and raised in Endicott, he attended Seton Catholic High School in Binghamton and then went on to study at SUNY Canton. He is a also a member of Broome County Funeral Directors Association. Daniel is a member of Winding Rivers Paddle Group and enjoys kayaking, hiking, backpacking and gardening in his free time. He is married with two grown children. 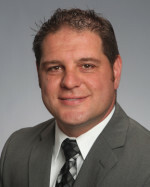 Martin DiPetro is a Funeral Director and has been with Allen Memorial for 17 years. Born and raised in Endicott, he attended Union-Endicott High School and SUNY Canton. He is also a member of Broome County Funeral Directors Association. A proud Italian, he is a member of the Order Sons of Italy in America and the Duca Degil Abruzzi Lodge #443. He is married with twin daughters, a son and attends St. Anthony of Padua Church. He enjoys golfing, surfing and volunteering at a Children’s Home. Matthew Rollo is a Funeral Director at Allen Memorial and has been with the funeral home since 2001. Born and raised in Endwell, he attended Maine-Endwell High School and SUNY Canton. 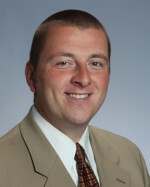 Matt is a member of Broome County Funeral Directors Association and is married with two children. When he is not working he enjoys playing golf and hockey. Michael Romeo is the Office Manager of Allen Memorial Home and has been with the funeral home since 2015. Born and raised in Endicott, he attended Union-Endicott High School and Broome Community College. Michael is a member of the Duca Degil Abruzzi Lodge #443, Order Sons of Italy in America and is President of the Oak Hill Avenue Improvement Corp., d/b/a Little Italy Endicott. He attends St. Anthony of Padua Church and enjoys volunteering and catering in his free time. Chris and Mark were very respectful to me and the whole family. They met all of my demands and plans, Dignity, Respect and a Class Act….Great Staff.